z33 nissan fairlady z info - J's Garage Export Co., Ltd.
2002. 07 : Nissan announced the release of the 5th generation of brand-new Fairlady Z after a two-year hiatus. All models are fitted with the NEO VQ35DE engine that produces 280 horsepower and 37.0 kg-m of torque. The feature of this new front midship FM sports package are, wide-tread sport tires with different front and rear diameters that rank among the largest in this class, an optimum front-rear weight distribution of 53:47, a low center of gravity, top-class aerodynamic performance (a spoilers equipped model is a Cd figure of 0.29), and a sporty driving position. 2003.10 : The Fairlady Z Roadster which is a convertible two-seater featuring a automatic soft top was added to the Fairlady Z line-up. 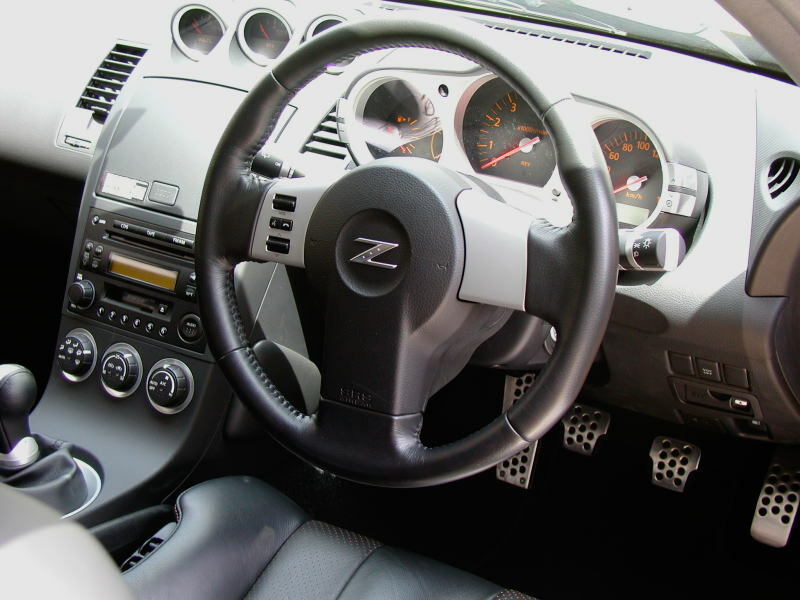 The Fairlady Z coupe got a minor model change of its interior, and the capacity of the Brembo brakes has been increased. 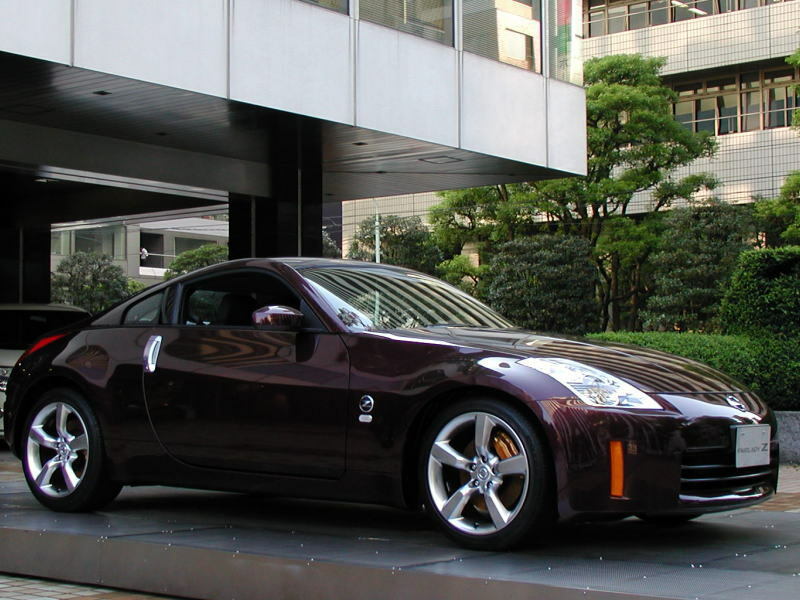 2004.01 : The limited-production Fairlady Z type E was introduced in Japan. The Fairlady Z type E based on the Version S includes a long-nose front bumper (+180mm), long-tail bumper (+135mm) and side finishers. 2004. 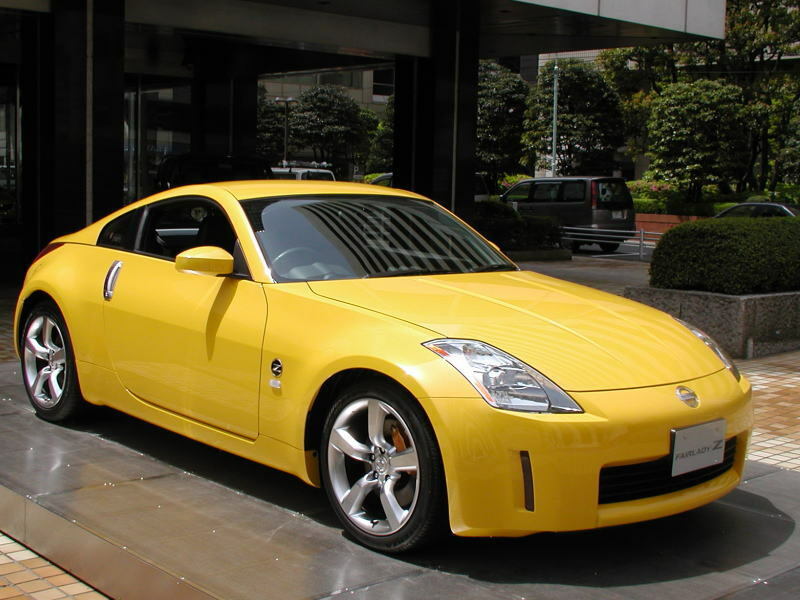 09 : The Fairlady Z coupe had undergone a minor model change including the addition of the yellow body color and the adoption of 5M-ATx (5-speed automatic transmission with a manual shift mode) with the rev-control. 2005.01 : Nissan introduced a limited edition Fairlady Z 35th Anniversary in commemoration of the 35th anniversary of its debut. The 35th Anniversary models are based on the Version ST (6MT) featuring exclusive special tuned engine, 18 inches alloy wheels, exclusive emblems, and black/tan leather seats(optional). The major features of the engine include ; 7000rpm rev limit, E-VTC (electromagnetic valve timing control) is adopted on the exhaust side, Cam operation corner expansion, Improved intake manifold shape, Improved piston-ring tension, Improved conrod-bolts, Improved crank shaft oil pressure route. 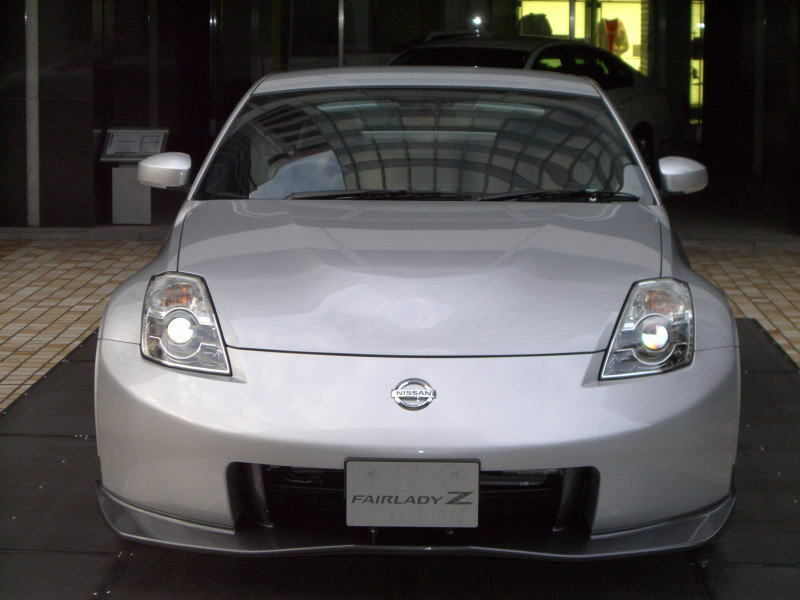 2005.09 : The Fairlady Z got a mild upgrades including a newly designed front bumper and headlights. And the Fairlady Z adopted the rear LED combination lamps, 18in alloy wheels, titan-clear door mirrors, dual flow pass shock absorbers, speed sensitive power steering, and 17 inches brakes. The 6 speed manual transmission model makes 294PS/6400rpm. 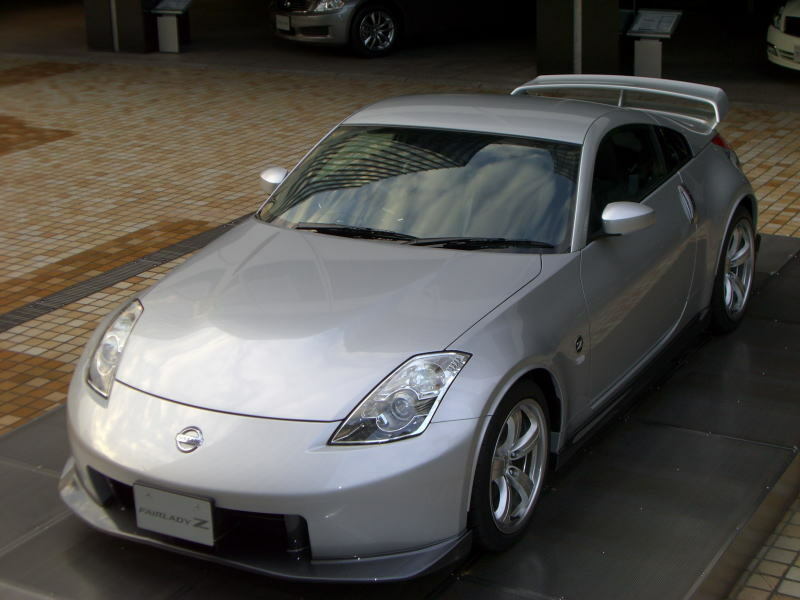 2006.01 : The limited-production Fairlady Z version ST type-G was introduced. The Fairlady Z version ST type G features are 19-inches rear tires (F 245-40R18, R 265-35R19), front & rear fender moldings (+25mm), RAYS alloy wheels, and exclusive interior leather color. 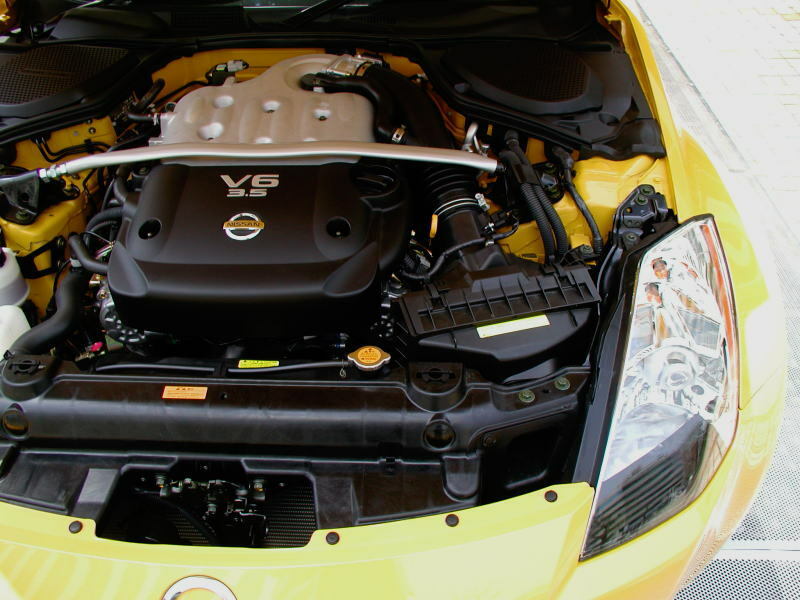 2007.01 : The Fairlady Z got major upgrades for 2007 including the new designed engine hood and the new VQ35HR engine with nearly 80% of major parts redesigned. The VQ35HR engine makes 313 horsepower and 36.5kgm of toque. The Fairlady Roadster had adopted the gray color soft-top. The Fairlady Z Version Nismo jointly developed by Nismo and Autech Japan was introduced. The body of the Fairlady Z version Nismo has been improved by increasing the welded area, and adding additional reinforcement bars and panels. And the Fairlady Z version Nismo features are Potenza RE-01R tires, re-tuned suspension system which includes performance dampers, and new designed exterior.